Waltons of Chester was founded in 1909 at The Cross in Chester and has become a well-loved part of the city landscape. 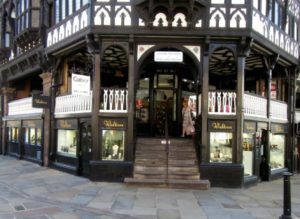 To this day, Waltons is still a family-owned jeweller and its family ethos runs through all of its three stores in Chester and Wrexham. “What’s special about Waltons is the family atmosphere we have here,” says Sales Advisor, Nicola Moran, who joined the team four years ago. Waltons pride themselves on being a family business that puts the customer at the heart of all their decisions. Assistant Manager, Wendy Lindop, has been with the store for 31 years and Assistant Manager, Gareth Williams, has been there for more than 28 years. Waltons have an excellent reputation for quality and customer service. Georg Jenson chose to host their collection in Waltons stores. Most of the staff have qualifications in jewellery, such as the National Association of Jewellers (NAJ) which is the UK’s leading jewellery trade association. Every NAJ member abides by the NAJ’s Code of Conduct, which is based on core values of honesty, integrity and professionalism. Some staff members are also trained in Gemology, which is the science dealing with natural and artificial gemstone materials. This means that they are academically trained and qualified to identify and evaluate gems. 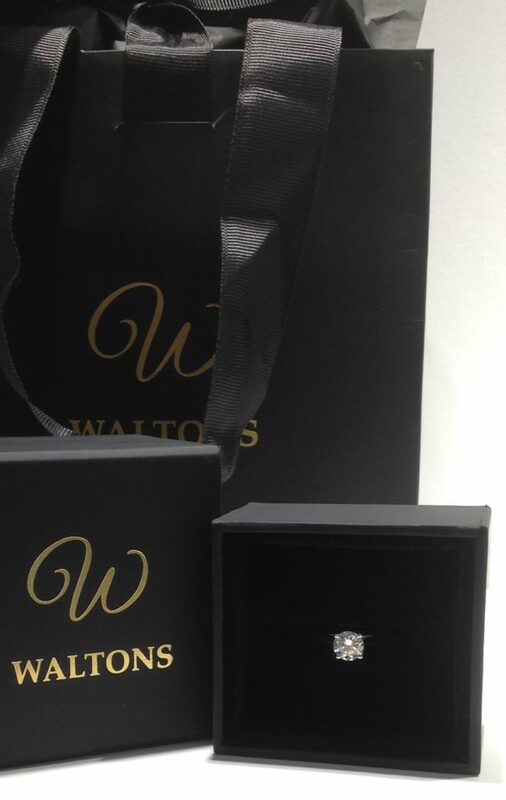 When you talk to the staff at Waltons, it is clear that they know their jewellery and are 100% committed to finding the right pieces for the customers. 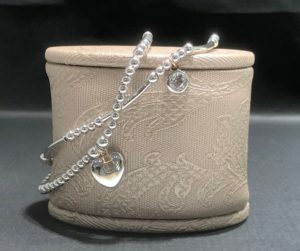 Clogau Sterling Silver Cariad Heart Stretch Bracelet is one of the many jewellery pieces available. The Waltons motto is ‘valued staff, valued customers’ and this is very clear from how welcoming the team are, that they are all happy, valued and want to make sure the customers feel the same. 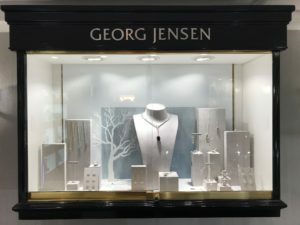 Waltons are also known for their high levels of expertise and professionalism amongst designers as Scandinavian design brand, Georg Jensen, who design timeless and contemporary fine jewellery, have chosen to host their range in Waltons above all other Chester Jewellers. The stores also stock many other famous jewellery brands such as Clogau Welsh Gold, Fope Italian Gold and Links of London. 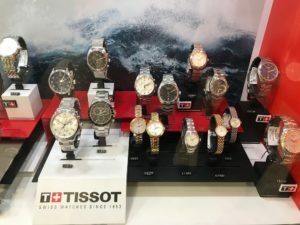 In addition to their extensive Jewellery range, they also stock an impressive range of swiss brands watches including Tissot, Bremont, pre-owned Rolex, Tag Heuer and Breitling. Waltons also offer a free on-site cleaning and polishing service on all jewellery that they sell so that you can always keep your jewellery sparkling like new. And, for peace of mind, they also offer a fantastic repair and valuation service at their local workshop. One thing’s for sure – you can trust your treasures in their expert hands. A GEORG JENSEN Sterling Silver “Hearts of Georg Jensen” Pendant priced at £165.00. 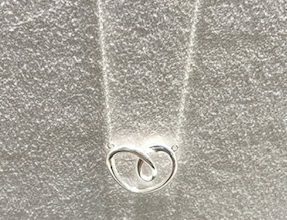 This valentines day we present to you the sterling silver hearts of Georg Jenson Pendent – a superbly unique take on a classic heart pendant. This piece is stunningly beautiful and modern, yet wearable and ageless. We recommend this as a truly perfect gift for your love this Saint Valentine’s Day. The post Waltons of Chester invite us to become part of their family appeared first on Experience Chester.